Business begins with a domain name. 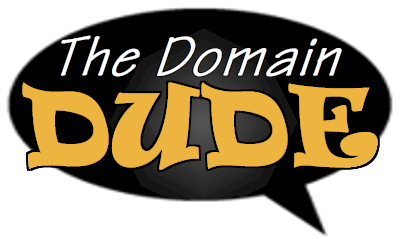 We offer some of the lowest cost domain names in the industry! Whether you have a new idea or an established business, your secret weapon to success begins with a great domain name for your Website. Your domain name is how people find you online, so selecting the best one could seem to be overwhelming. But don't get intimidated we're here to help you get online. 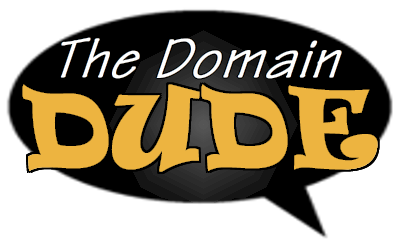 .COM Domain Names only $9.99/yr! Register your domain with us and enjoy a big savings over the competition +24/7 tech support. The "Ad Twins" ask: Do You Have DDD? 24/7 Telephone Support & Sales Located In the USA! Let's get down to business! Are you ready? Step 1: Do a domain name search. (TIP) When naming your new business always search to see if the domain name is available first! Step 2: Do a business name registration search in your state, making sure that business name is available as well. Step 3: Create your account on TheDomainDude.com and purchase your domain name and hosting services. What if your domain is not available? We automatically give you suggestions after your search but in most cases, just keep searching for a domain you want for your company. Unlimited disk space & bandwidth. Industry leading page load times. Load-balanced servers to handle visitor spikes. Multiple layers of caching for super efficiency. SSD drives to grab your site content SUPER quick. Let customers know their private details are safe. Same security as our competitors for up to 90% less. Show customers your site is safe and legitimate. SSL Certificates will safeguard payments and help increase sales. Backed by industry-best 24/7 support located in the USA!